Talk show hosts get a lot of random questions to deal with. Rather than try and sort out their problems in private, many people go on TV to share them with the world. Sometimes, it’s the only way to get the help they need. Of all the bizarre things people have asked on television before, though, this is definitely one of the strangest. 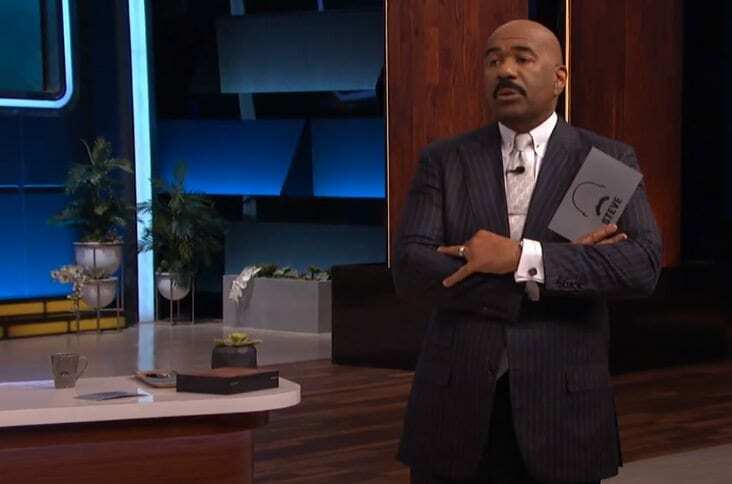 Sloane, a guest on Steve Harvey’s talk show “Steve” in 2018, asked the host if he had a solution for her peculiar problem. She lives in a haunted apartment building and can’t convince her boyfriend to spend the night with her, because he’s afraid of where she lives. Not exactly known as a paranormal expert, Steve was bemused when Sloane asked if he knew how to persuade her partner to visit her apartment. Most people faced with this question would probably be lost for words, but this is Steve Harvey we’re talking about here. The man has a way with words, and he knows exactly what to say. Unfortunately for Sloane, what Harvey came back with was not what she’d anticipated at all. She couldn’t believe his response after she’d turned to him looking for help. This is why you shouldn’t try to solve all your problems on TV. 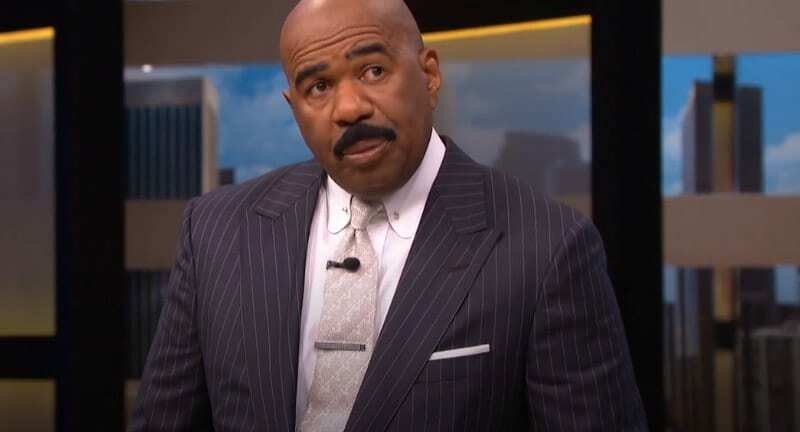 Our TV screens wouldn’t be the same without Steve Harvey on them. 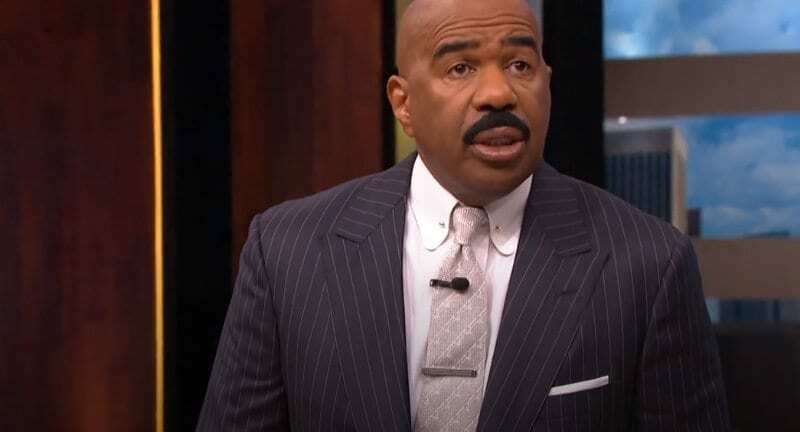 He’s been acting as a host for several decades now, racking up appearances on the game show “Family Feud,” variety series “Little Big Shots,” and even the Miss Universe beauty pageant. 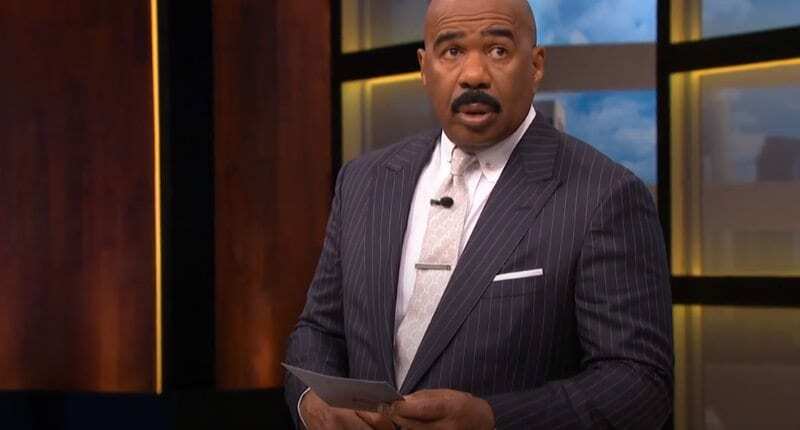 Harvey’s also known for hosting his own talk shows, with his program “Steve Harvey” winning numerous awards during its five-year run. 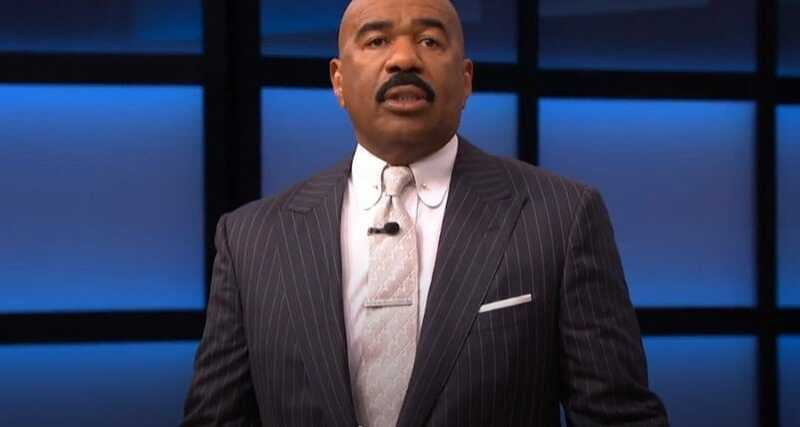 When it ended, the host made a deal with IMG and NBC to keep the format alive in a new show, “Steve.” The series features many similar aspects as “Steve Harvey,” including audience interaction. 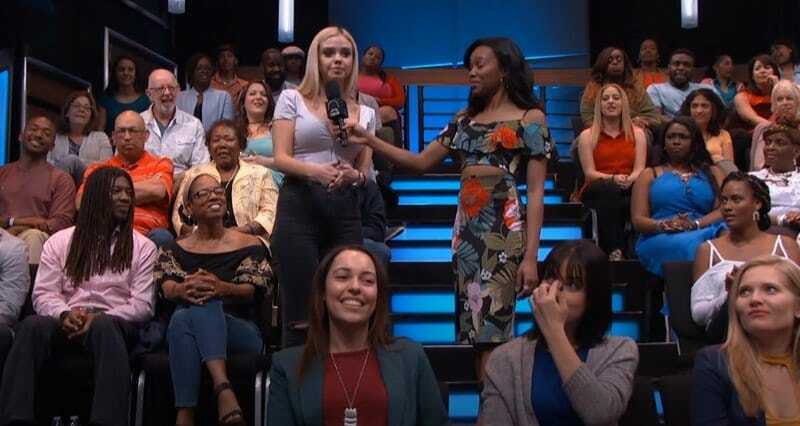 However, the host was left regretting this after responding to an audience member’s bizarre request in 2018. Taking questions from the audience is a relatively common feature of talk shows. Although Harvey places more focus on celebrity interviews and comedy routines during the series, he likes reaching out to his viewers and helping them with their problems. He’s a man of the people. 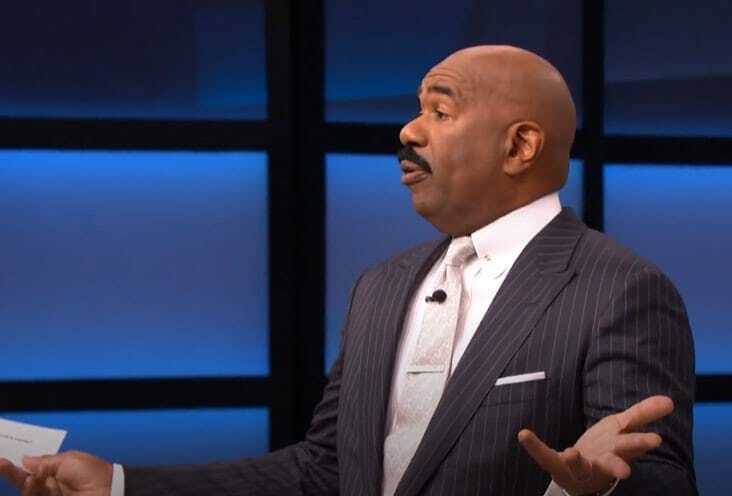 The incident in question happened during a segment of the show known as “Hey Steve.” People in the audience ask the host a question in the hopes he’ll be able to provide them with a solution. These questions have ranged from things like “How do I confront people?” to “Can you help me make my online dating profile?” There was one question out of all of these that Harvey wasn’t prepared for, though. 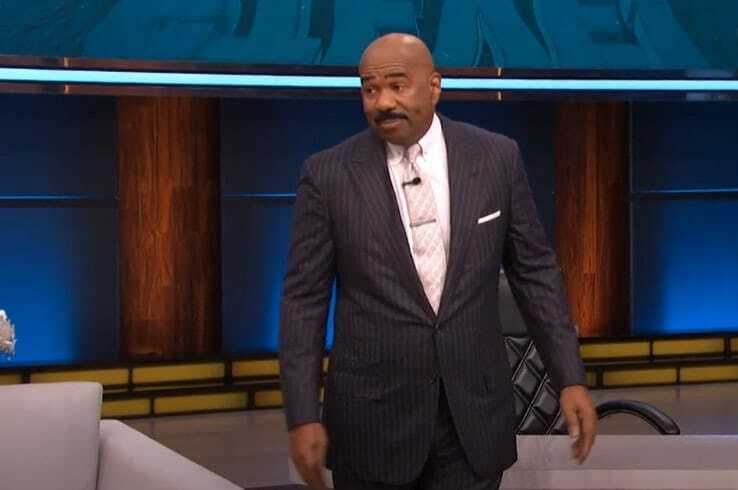 During a segment of “Hey Steve,” Harvey takes a question from Sloane who has a rather peculiar request from the host. She explains that she lives in a “very old Hollywood apartment building” which is speculated to be haunted. Why do people believe that? There have been several deaths on the property since it was built in the ‘20s, so now it’s believed that their spirits are still lingering in the building. Harvey is no ghostbuster, so what exactly is Sloane hoping he’ll be able to do? The guest further elaborates on what has been going on in her apartment, revealing that on one night, in particular, she’d had a somewhat haunting experience. It had happened while she’d been on the phone having a normal conversation with her boyfriend. Suddenly, out of nowhere, she heard this voice that definitely didn’t belong to her partner. When she asked what the voice was, her boyfriend replied that he hadn’t heard anything, leaving Sloane particularly spooked. The haunting experience wasn’t yet over though. Following the emergence of the voice, the power in Sloane’s apartment building completely switched off. Unsure of what else to do, she went outside and tried to get help. Being out there, the guest described it as “the eeriest, quietest thing,” which is not the atmosphere you want when you’re afraid something is haunting you. As Sloane continues to talk about the experience, Harvey listens on, growing more bemused by the second. He isn’t sure where this is going, but he is intrigued to find out. Unsettled by what had happened in her apartment building, Sloane asked her boyfriend to come over and help her. She didn’t want to be alone in a place that was apparently haunted, but this was her home. She couldn’t just suddenly up and leave, so she had to try and get accustomed to the apartment’s spooky qualities. Unfortunately, her boyfriend came back with the answer that she’d been dreading, and it wasn’t for the first time either. This is where Sloane needed Harvey’s help. Sloane’s boyfriend refused to come over. Ever since he discovered it’s haunted, he’s stayed as far away from her apartment as possible. Whenever the two of them spend time together, they always do it at his place, much to his girlfriend’s annoyance. She doesn’t want to always be the one who has to travel to see him, especially when she has a place of her own. Having explained her story, Sloane then asks Harvey if he knows how she can convince her partner to come back to her haunted apartment. Harvey listened to his guest’s story in silence, but now the ball is in his court. The host is accustomed to being asked for relationship advice, but this is a new one for him. However, he is primed and ready with a response. When the question comes his way, he responds with one of his own – “Is your boyfriend black?” After Sloane responds with, “No, but he thinks he is,” Harvey knows everything he needs to. He is now certain her boyfriend will never go to her apartment. According to Harvey, rule number one in the black manual is that you don’t stay in a haunted house. It’s better to move than stay put in somewhere like that. He says that this is supported by the fact that black people generally don’t fare well in haunted movies. The audience erupts into fits of laughter over Harvey’s response, although Sloane is still at a loss. She’d hoped there would be some way to convince her boyfriend to stay at her apartment, but that seems less likely by the second. There is one thing that is still confusing Harvey about his guest’s predicament. If her apartment is causing so many issues between her and her boyfriend, why is she still there? Why didn’t she move out the second she discovered it was haunted? When Sloane declares that she doesn’t know what to do anymore, Harvey asks her what is still keeping her in the building. He isn’t expecting the answer she gives, but it makes him realize just what kind of person he is dealing with here. When asked, Sloane confesses she is something of a paranormal junkie. Harvey has no idea what this means, but when he probes her, she explains. “I like haunted things,” she clears up, much to the host’s surprise. The reason she’d stayed living in her apartment all this time was that she is addicted to the supernatural. She finds the idea of being around ghosts exciting, even if they do still freak her out at times. Unable to understand how anyone could enjoy that, Harvey comes back with a hilarious response. Everyone in the audience starts laughing when Harvey calmly tells Sloane, “Oh, you crazy.” The guest agrees with him, taking pride in her interest in the supernatural. After the laughter dies down, though, Harvey still can’t get his head around her obsession. As someone who’s never had a great interest in ghosts and haunted places, he doesn’t see what the attraction is. Even as Sloane continues to explain what drives her desire to explore the supernatural, Harvey remains clueless. Eventually, he decides that he’s had enough. “I’ve been in all the scariest most haunted abandoned mental asylums,” Sloane elaborates hoping it will help her case, but it doesn’t. By this point, Harvey is struggling to work out what advice he can possibly give his guest, and he thinks she’s beyond help. When she starts talking about how she has a problem with ghosts following her home, that proves to be the final straw for the host. He has no answer to her question, so he does the only other thing he can think of. With no helpful advice to offer his guest, Harvey demands that his ‘security’ “Put her out.” Everyone, including Sloane, starts laughing at the host’s request, but this is no joke. A man in a blue suit comes over to the guest and leads her out of the audience. The good-natured request for her to leave gets a lot of applause from everyone else, but Harvey isn’t quite finished yet. As she is on her way out, the host calls her back for one final attempt to help. Sloane has no idea why she is being called onto the stage, but she follows Harvey’s directions nonetheless. As she walks over to him, the host also calls over a woman named Jen from backstage. The two women aren’t sure why they are being introduced to each other, but it quickly becomes apparent when Harvey refers to Jen as the show’s “resident Christian.” Once again, everyone bursts into laughter, including the two on stage, but Harvey isn’t done with his joking around just yet. As everyone in the audience quietens down, Harvey explains to his guest exactly what Jen is going to do. He tells her that she’ll take her backstage and throw some holy water over her in the hope that she will be healed. Seeing as Sloane believes that these various spirits are following her, maybe dousing her in holy water will keep them at bay. There is no assurance it will work, but Harvey feels that there is no harm in trying. Shortly afterwards, Jen and Sloane walk off the stage, leaving Harvey on his own once again. He’s failed to answer his guest’s question, but he’s given everyone in the audience a good dose of humor. 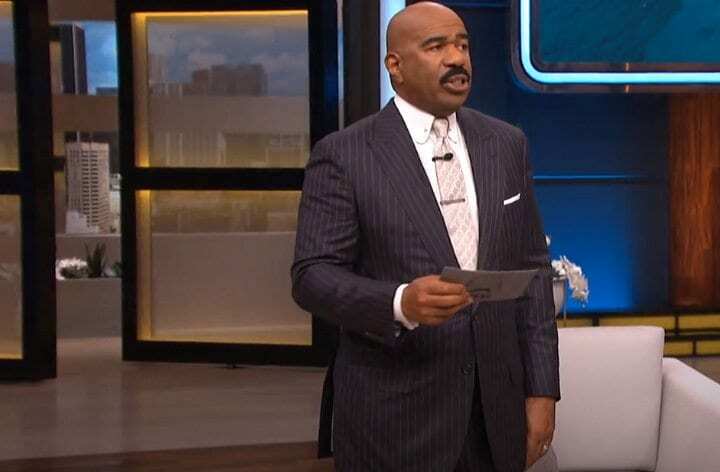 We’re not sure many talk show hosts would be able to provide a solution to Sloane’s problem, so Harvey did well to tackle things the way he did. How his guest will deal with her issue is yet to be seen, but we’re sure if there are any major developments, she’ll keep Harvey informed. You can hardly blame Sloane’s boyfriend for not wanting to stay in her haunted apartment. After all, many people would be equally resistant to stay somewhere supposedly teeming with ghosts. 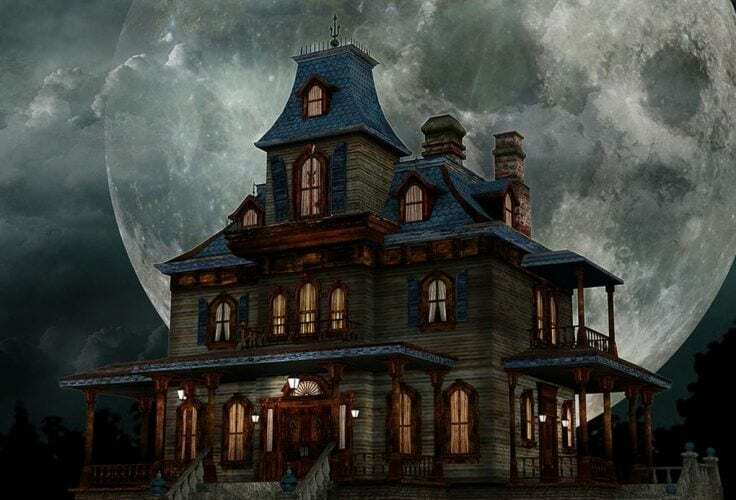 Several sports stars came to regret sleeping in a haunted hotel in Scranton, Pennsylvania, after having supernatural experiences that left them spooked. David Price and Wade Davis both had to check out after one night there when they heard mysterious knocks and screams, and the room became unbearably hot. Needless to say, they didn’t get a good night’s sleep. Price and Davis aren’t the only people to have had terrifying experiences in the Scranton hotel. Ryan Tatusko, another sports star, revealed that several of his teammates noticed supernatural events during a stay there. One guest’s glass slid across the table and smashed on the ground, while another crossed paths with what they believe was a ghostly figure. Tatusko’s coach encountered someone in the hallway and stepped aside so they could pass by, only for him to discover there was no-one there. He stayed somewhere else the following night. To some people, events like this have an obvious logical explanation, while to others, it’s a sure sign that ghosts exist. Although we can’t prove which of these is right, Sloane’s boyfriend is perfectly entitled to be afraid of her haunted apartment. 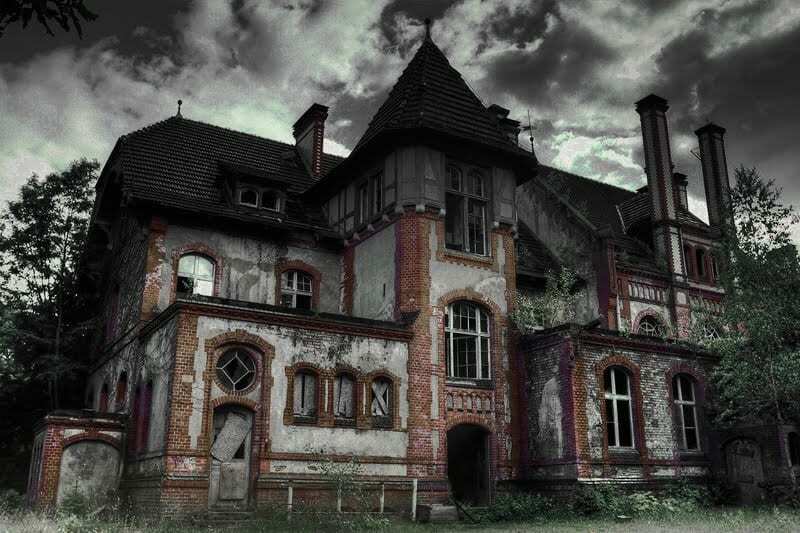 We wouldn’t fancy sleeping somewhere that’s supposedly experienced supernatural activity. 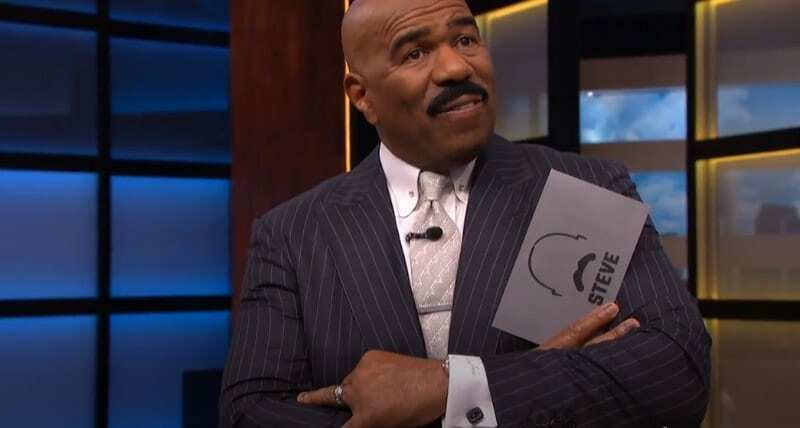 We don’t think Steve Harvey would either. From the sounds of it, he wants nothing to do with all these ghosts apparently following Sloane around, and we’re right there with him.